Time and again they've told me, "Dude, you should play Alpha Protocol!" And time and again, I've ignored them. Until now. For some reason, this past weekend I decided to really play the game. There's a bit of a lull going on right now, with The Last of Us out of the way and, aside from the odd Nintendo release, the decks clear until bigger games start dropping in August. I also remembered reading some cool stuff about the game in Jason's profile of Obsidian, the development studio that made the game. Seems like a good time to give Alpha Protocol a chance. And so, I started playing it. 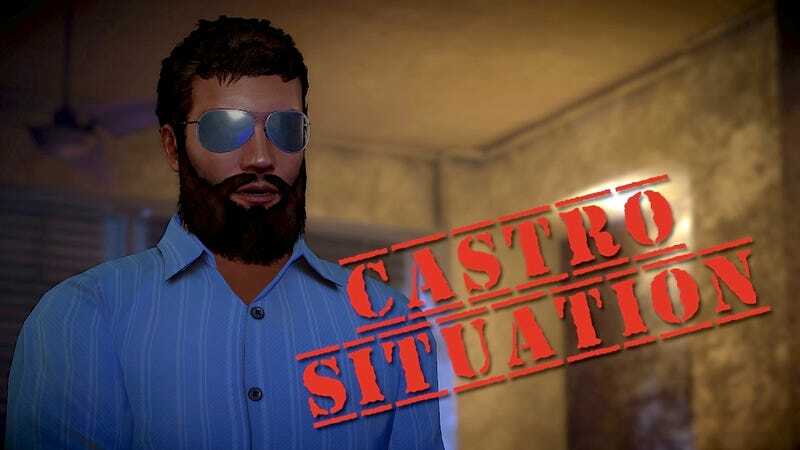 I customized my dude, giving him "The Castro" beard that I'd heard so much about, ("The Castro Situation"™ Idle Thumbs), and got playing. I remembered that I'd actually started this game once before, though I'd never made it past the first Saudi Arabia mission. What a depressing, boxed-in mess of corridors and brown on brown on brown! This game doesn't put its best foot forward, does it? But I soldiered on, figuring out how to sneak around the daft artificial intelligence. And after a couple hours, I started having a considerable amount of fun. I mean, think about it: He's a guard. And he's going to stare into the corner of the room, without moving? Okay! I was happy to see that completely by coincidence, two game critics whose work I enjoy, Brad Galloway and Sparky Clarkson, happen to be writing a letter series looking back at the game. They're both replaying the game, and have posted the first letters today. They'll have more as they go. I'm still early enough that I don't have a ton of opinions, but at the time being, this seems like the kind of game that I wish so much would be the game it could've been (with proper budget and development time) that I'm willing to forgive a lot of crustiness. I mean… if this game starred Cate Archer and played like Deus Ex: Human Revolution, I'd probably die. I'll likely have more to say about the game as I play more, but for now, I turn it over to you: Anyone out there a fan of Alpha Protocol? Have you played it lately? What do you think of this game, and what have I got in store for me?